If you have a child that is interested in lacrosse regardless of age, youth or high school, have them check out one of our free intro clinics. Those will be posted in our calendar when available. Lacrosse is the fastest growing youth sport in the country right now. Don't worry if your child has never played, as most players here haven't so your child is not at a disadvantage. Many players have only picked up a stick in the last year to two, and every year we add more new kids to the program. 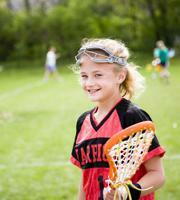 Here are links to PDF's of girls and boys youth lacrosse books from US Lacrosse. This is a great resource for parents and players that would like to learn the game. In addition, the US Lacrosse website offers great resources for players and parents. GRALA has adopted the principles and practices of the Positive Coaching Alliance, including recognition of the powerful and unique role of parents/guardians in translating sports into life lessons. The Alliances has great resources, including for parents, here.